On the International Women’s Day, Netin Travel offers customers an extremely attractive and preferential program when the Book Tour takes place from 1 to 8 March. We will have 7% discount program on a Tour for customers when booking Daily Tour before departure time is 2 days. According to Phong Nha-Ke Bang National Park Report, during the 09 days of Lunar New Year of Pig, the visitors come to Phong Nha has increased highly over the same period. The number of tourists to visit different destinations of Phong Nha National Park increased sharply over the same period last year. Specifically, the total number of visitors reached over 25,674 thousand turns (reaching 114% over the same period), of which, international visitors reached 7,164 arrivals. Phong Nha - Ke Bang Tourism Center has welcomed and served 18,132 visitors (113% over the same period), of which 4,418 international visitors (reaching 109% over the same period). 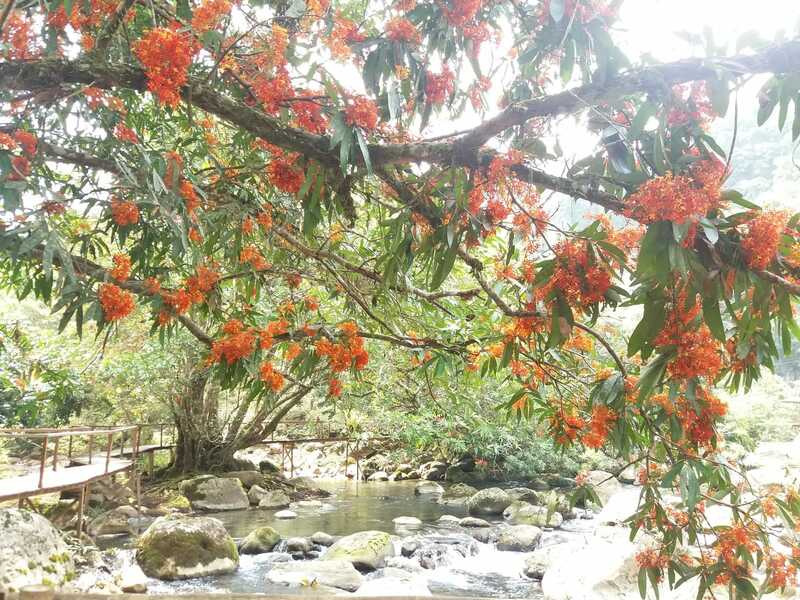 Tourist destinations managed by Management Board of Phong Nha Ke Bang National Park has welcomed 149 international visitors (reaching 110% over the same period); Eco-tourism Zone and Botanical Garden have welcomed and served 871 visitors. Paradise Cave has welcomed and served 6,522 visitors (121% over the same period), of which 1,899 international visitors (139% over the same period). With those signals, hoping a prominent new year of Phong Nha - Ke Bang particularly and als0 Quang Binh Tourism. News by Cuong Tran. According to Phong Nha-Ke Bang National Park Report, during the 09 days of Lunar New Year of Pig, the visitors come to Phong Nha has increased highly over the same period. The number of tourists to visit different destinations of Phong Nha National Park increased sharply over the same period last year. Specifically, the total number of visitors reached over 25,674 thousand turns (reaching 114% over the same period), of which, international visitors reached 7,164 arrivals. Phong Nha – Ke Bang Tourism Center has welcomed and served 18,132 visitors (113% over the same period), of which 4,418 international visitors (reaching 109% over the same period). 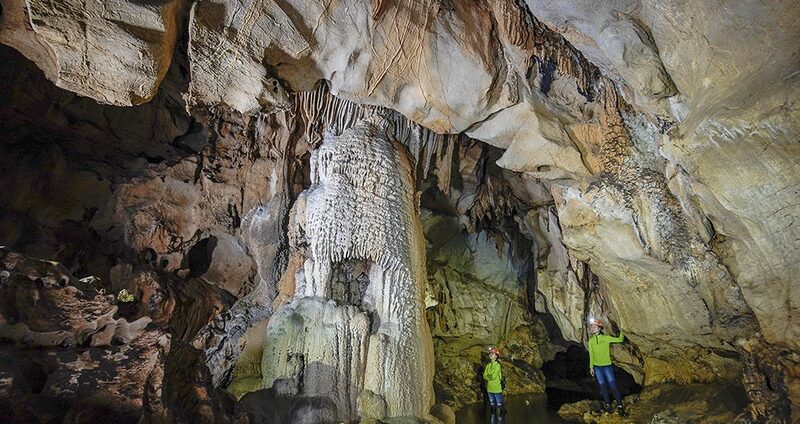 Tourist destinations managed by Management Board of Phong Nha Ke Bang National Park has welcomed 149 international visitors (reaching 110% over the same period); Eco-tourism Zone and Botanical Garden have welcomed and served 871 visitors. 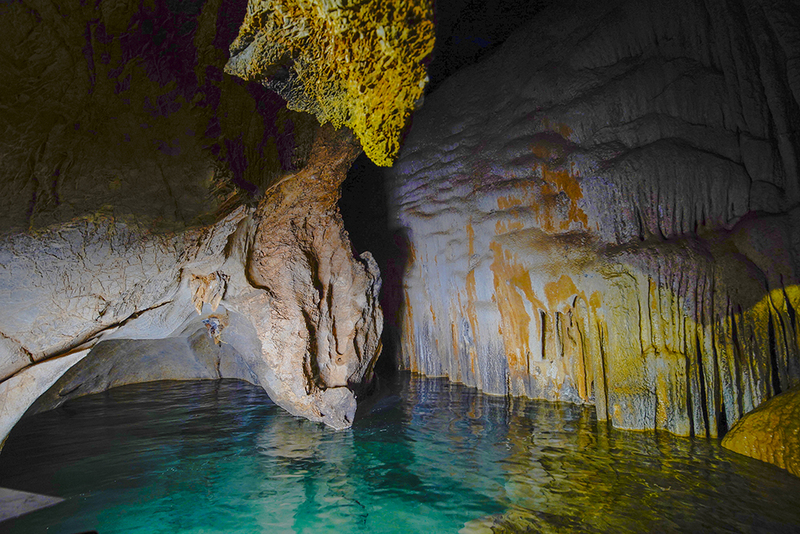 Paradise Cave has welcomed and served 6,522 visitors (121% over the same period), of which 1,899 international visitors (139% over the same period). With those signals, hoping a prominent new year of Phong Nha – Ke Bang particularly and als0 Quang Binh Tourism. 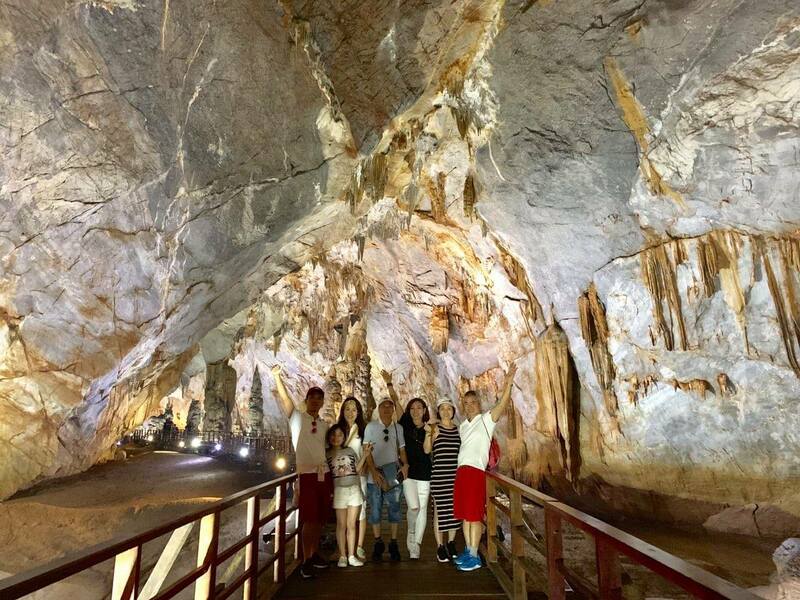 Given the fact that Quang Binh province is rich with caves, we can say that Phong nha tour is one of our best-selling tours. Other than the caves, another wonder of the tour is the 5 km boat ride on the river before you reach the mouth of the cave. Here, you can enjoy the natural wonders, such as beautiful mountains, that God endowed this country with. Phong Nha-Ke Bang National Park is situated in Quang Binh province. The Park can be compared to a huge and valuable geological museum of the world thanks to its complicated geological structure with different categories of stone including sandstone, quartz, schist, siliceous limestone… Inside the limestone topography are over 126 km of cave systems, with over 300 caves and grottos. Lying in the heart of Phong Nha-Ke Bang National Park, Son Doong, the world’s largest natural cave, was discovered in 2009. 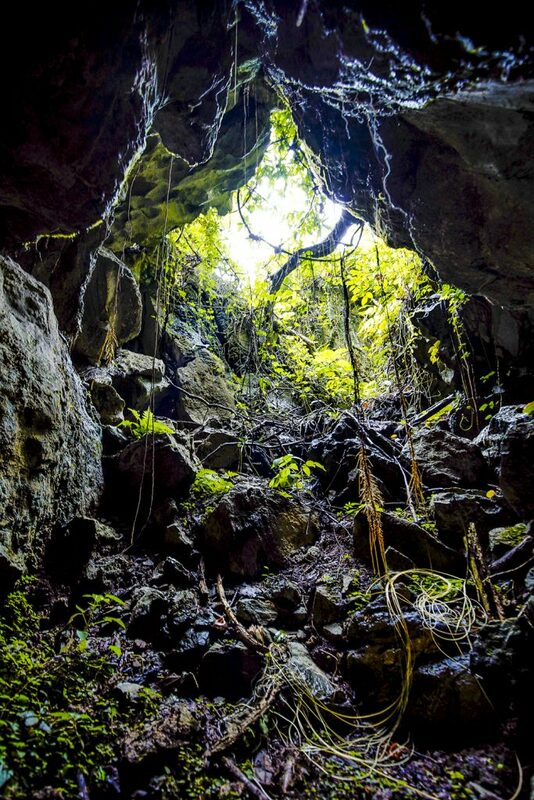 The cave is seen as a valuable property of humanity with its aw-inspiring stalactites and stalagmites, splendid cave pearls and a primitive tropical forest. 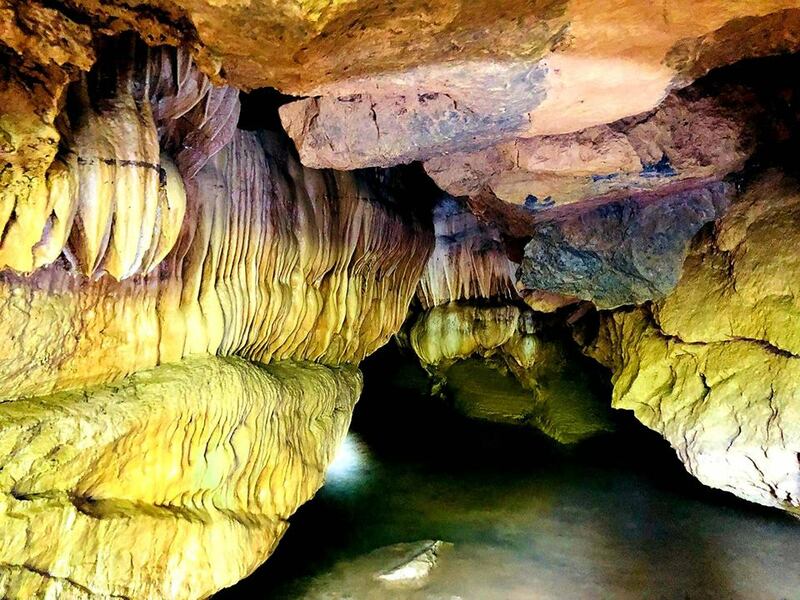 The cave from which the park takes its name is Phong Nha cave, which is considered by many to be the best cave in the world, has been a site of mystery and wonderment for natives and visitors alike for centuries. 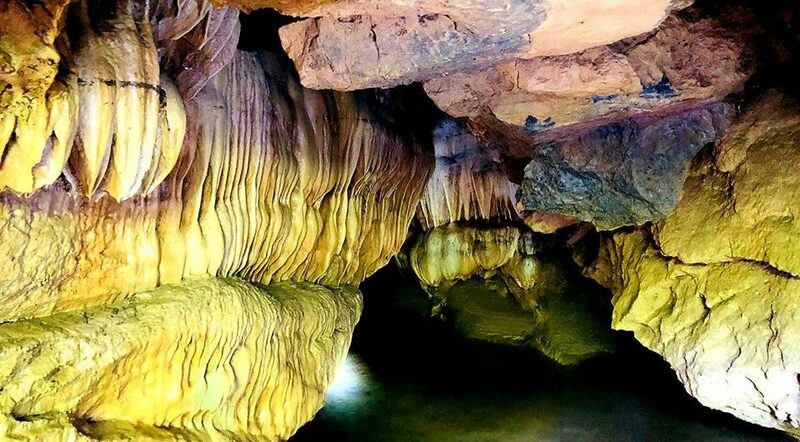 Phong Nha Cave is famous for its rock formations which have been given names such as the “Lion”, the “Fairy Caves”, the “Royal Court”, and the “Buddha”. 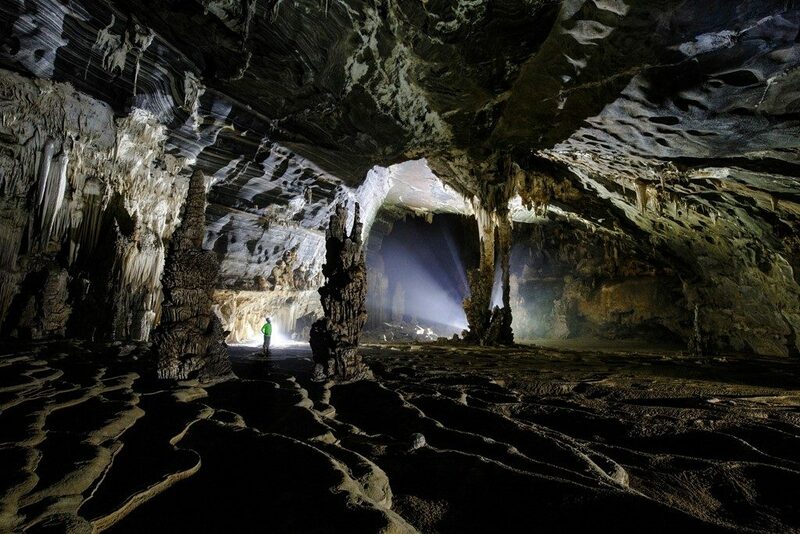 Son Doong cave isn’t new, but it is newly discovered. The cave contains some of the tallest known stalagmites in the world, which are up to 70 m tall. Behind the Great Wall of Vietnam were found cave pearls the size of baseballs, an abnormally large size. 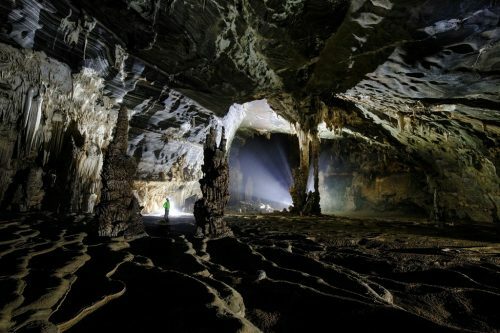 While Phong Nha and Son Doong may be known for their size, Tien Son cave is known for its beauty. 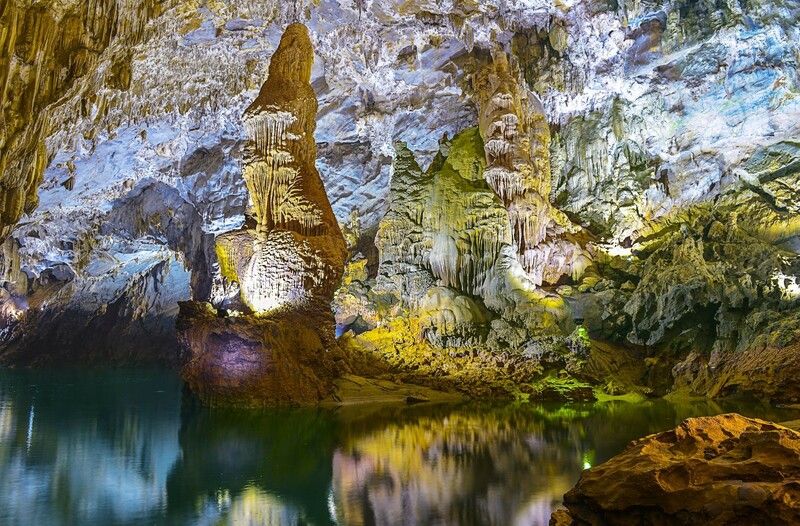 Like Phong Nha cave, this cave features spectacular stalactites and stalagmites shaped like several fairy-tales. Stalactite and stalagmite columns and walls here create strange sounds like that of gong and drum if they are knocked with the hand. 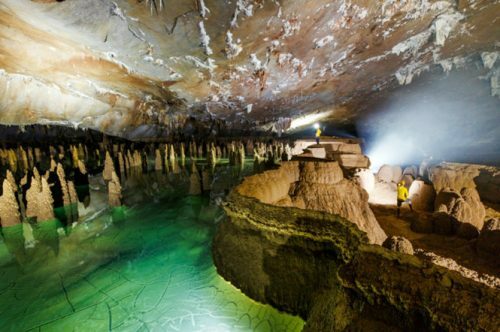 Paradise Cave is a newly found cave in this area, is longer than Phong Nha cave, previously considered the longest cave in this national park. The limestone formation is also more spectacular than that of Phong Nha Cave. Besides the cave, the park is also a great place for mountain climbing, hiking, and eco-tours of the surrounding Ke Bang Forest. This is the largest forest with this tree in Vietnam. Most of the trees here are 500–600 years old. Phong Nha-Ke Bang National Park was first nominated as a UNESCO World Heritage Site in 1998. For anyone who enjoys the outdoors and natural wonders, this park should make it onto your Vietnam itinerary. Quang Binh is the narrowest point of the central Vietnam. It has the beach, the mountain ,the river and the caves in Phong Nha -Ke Bang nation park. Today Quang Binh is one of the attractive tourist destinations. Weather Phong Nha influences the travel schedule in each trip. Netin travel will become a companion with you to explore the weather in this land. The weather is divided into two distinct seasons. It is rainy season and dry season. The dry season is from April to August. The temperature is highest in June to August. It is sunny and hot. The temperature is from 38 degrees to 41 degrees. Although it is the sunny and hot but this is the best time to travel Phong Nha- Ke Bang national park. You can take a cool bath, play the game in the water without fear of the weathe. The rainy season usually lasts from September to March every year. But the rainy season is the most concentrated in September, October, November. But this condition doesn’t effect to your trip in Phong Nha- Ke Bang. You can make some tours in Quang Binh . For examples: Tour Phong Nha 2D1N, Daily Tours, Adventure tours. 2. what is the most beautiful season to travel in Quang Binh? Each season has its own beauty. You can choose your own one that you love. In the September, October, November if you want to travel in Phong Nha-Quang Binh you should check the weather information . because there will be heavy rain so some caves can be flooded. Maybe you can’t visit. Currently is the low season of travelling, the tourists coming Quang Binh ang Phong Nha Ke Bang is down in comparision with the previous months. The reason for this drop is the weather in Quang Binh this time is changeable, make many tourist worry about having a best time here. But in reality, the weather condition in Quang Binh for the several days of early September was very nice, not so hot and not so cool, with some rainy in the midnight, leaving a new day cooler and fresh. To call for visitors in the low season, travel company in Quang Binh are trying to give their better service with a lower price. 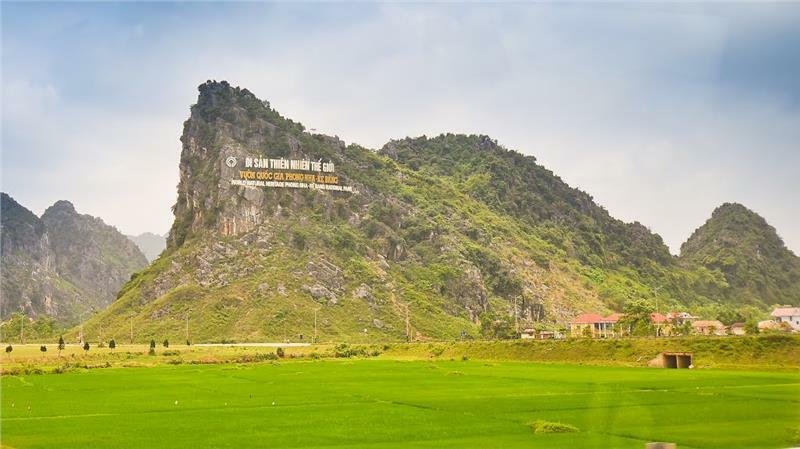 Below is a tour designing to explore Phong Nha Quang Binh for 2 days with 5 stars -room standard at one of the most luxurious hotels in Quang Binh – Muong Thanh Luxury with a supprising price – shall be a best choice for tourist coming Quang Binh this time. ?- Check in: 14:00 ; Check out: 12:00. Head Office 161 Ly Thuong Kiet Street, Dong Phu Ward, Dong Hoi City, Quang Binh. 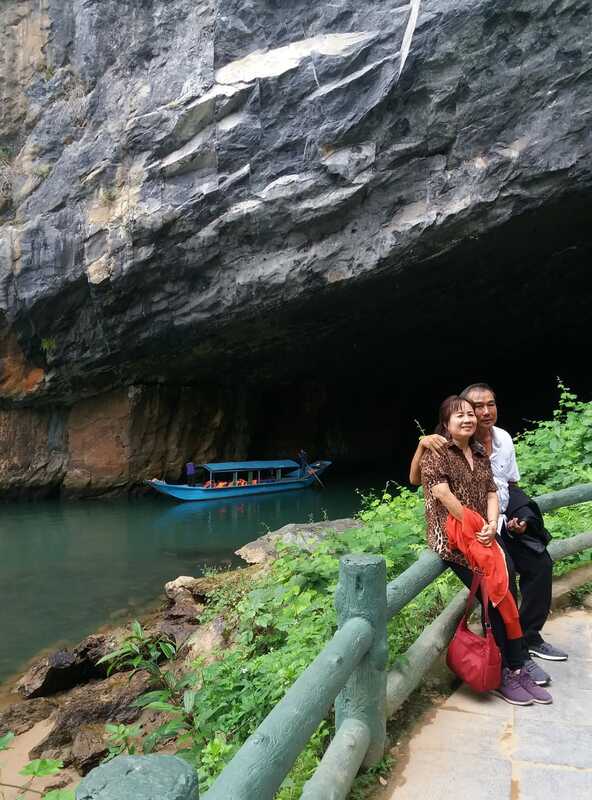 With the reasonable price and the best service, this kind of tour is suggested for both, newly married couples or small family to enjoy and saving moments in Quang Binh. According to information from Phong Nha Ke Bang Tourism Center on September 08, 1818, Mooc Spring has been reopend to serve tourist when visiting Quang Binh.. 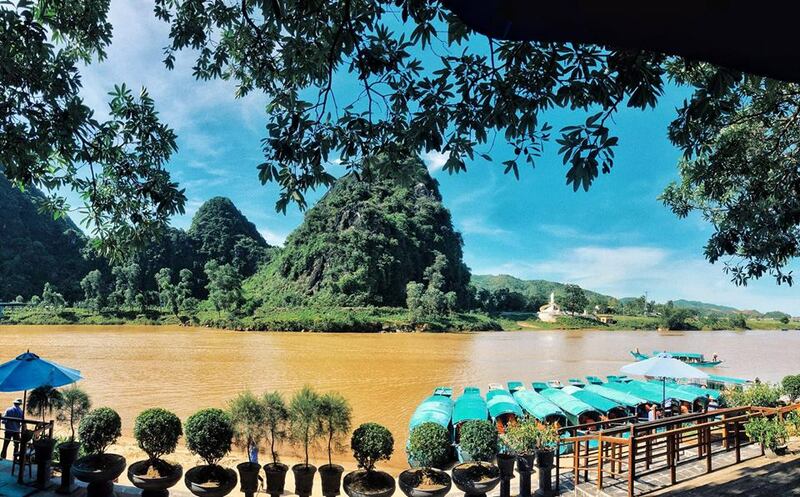 Earlier, the flood affected to the inner roads of Mooc Spring and The Phong Nha Tourism Center has stopped the reacreation activities for a short time. 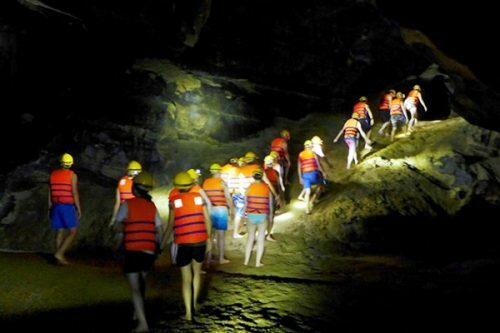 Mooc Spring reopened to serve tourists when visiting Quang Binh Tourism. Previously, the floods affected the road as well as the Phong Nha tourist center stopped recreation activities. 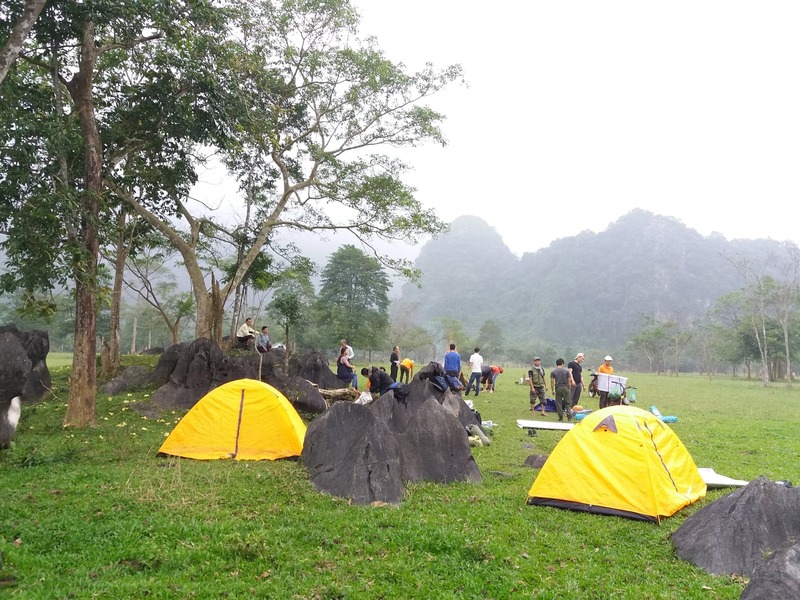 Mooc Spring is an attractive destination for visitors to Phong Nha Ke Bang. 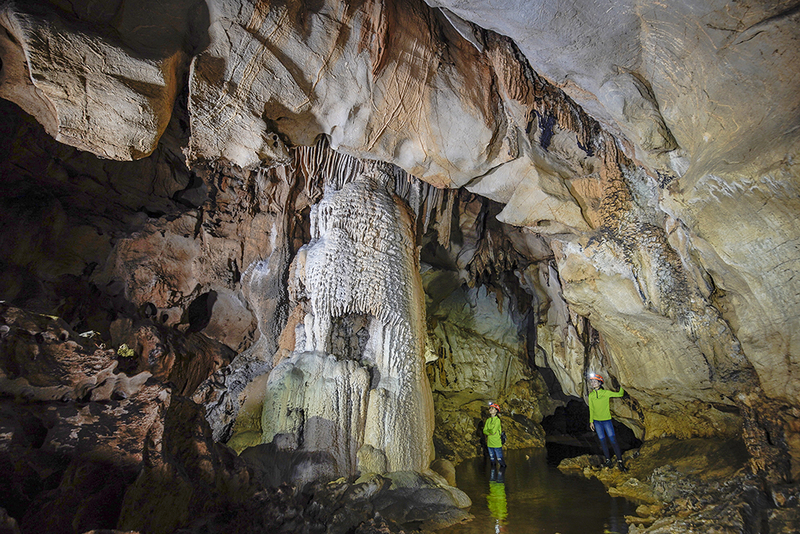 Together with Paradise Cave or Phong Nha cave , visitors will be experienced a day to visit Phong Nha Ke Bang. 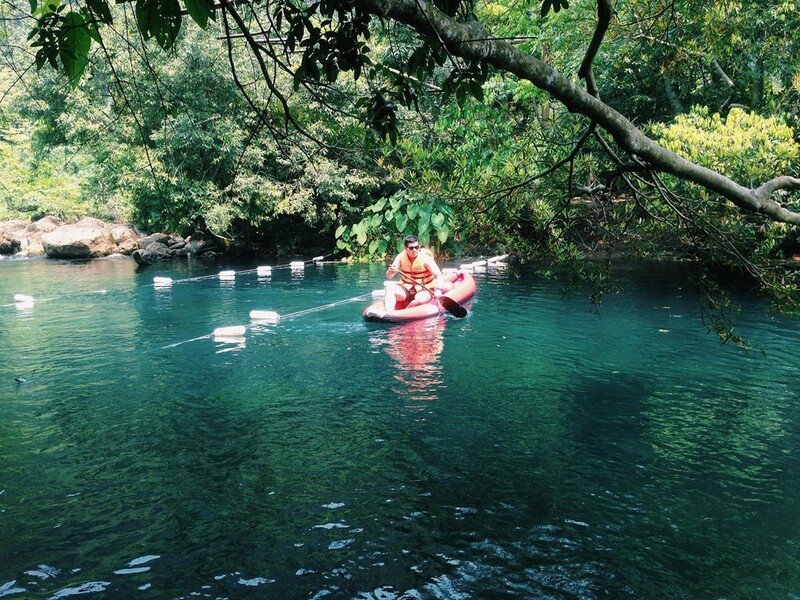 Coming Mooc Spring, tourists will be able to visit, enjoy the scenery, play water games like Kayaking, swimming in the blue fresh water…. In 2018, tickets to Phong Nha – Ke Bang National Park will not change compared to 2017. Quang Binh tourism is famous for Phong Nha Ke Bang National Park. 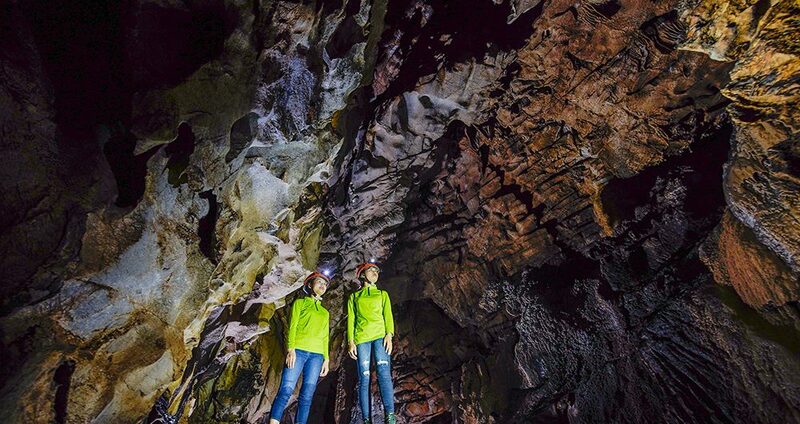 There are more than 300 large and small caves, many types of tourism are put into operation. Travel experience to discover Phong Nha, Thien Duong. 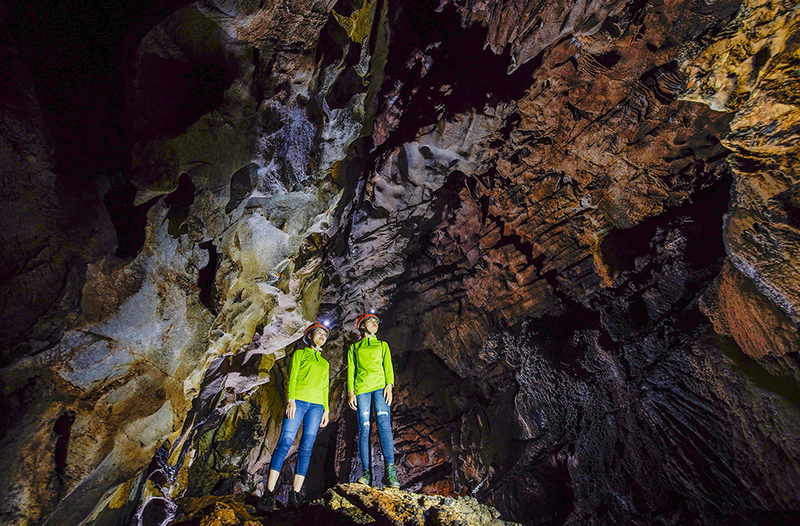 Recently, adventure tourism has developed strongly in Phong Nha Ke Bang. 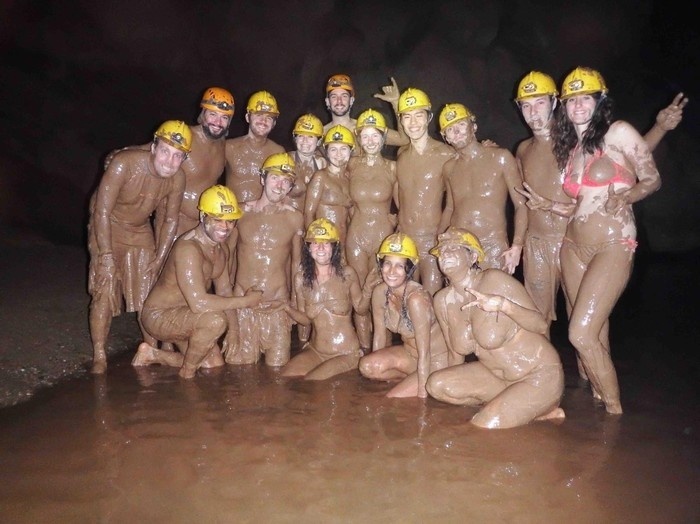 Many travel agencies have put into operation many new caves in the form of adventure. 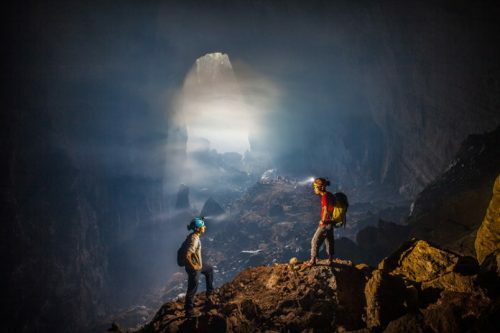 Netin travel provides ticket information of Phong Nha Ke Bang in 2018 for visitors. If you need to take a tour of the adventure, please contact us for advice and support. – Phong Nha cave: VND 150,000 / person / visit. – Tien Son Cave: 80,000 VND / person / visit. 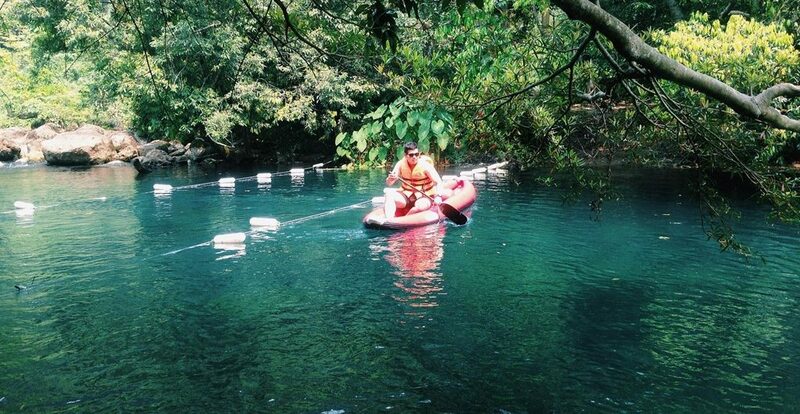 Note: – According to the new regulations, each boat can carry a maximum of 12 people and at least one person. 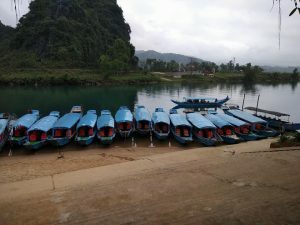 All boats are coordinated by the Phong Nha Tourist Center so there is no prey, fare or tourist fraud. No reservation required. You do not need to book.There will be a coordinator for you. Tickets to visit Thien Duong Cave. Buggie trip 04 seats and 06 seats. Netin supports booking tickets to Phong Nha Ke Bang for tourists when traveling to Quang Binh.